In some cultures January 6th is the big holiday for the Christmas season. This is the symbolic date on which the Wisemen reached Bethlehem and said hi to the baby Jesus and brought him some birthday presents. 🙂 Not celebrated so much in the U.S. but in our home we use it as an excuse to end the holidays with one last bit of fun. First we go for a hike, symbolizing the journey of the Wisemen. 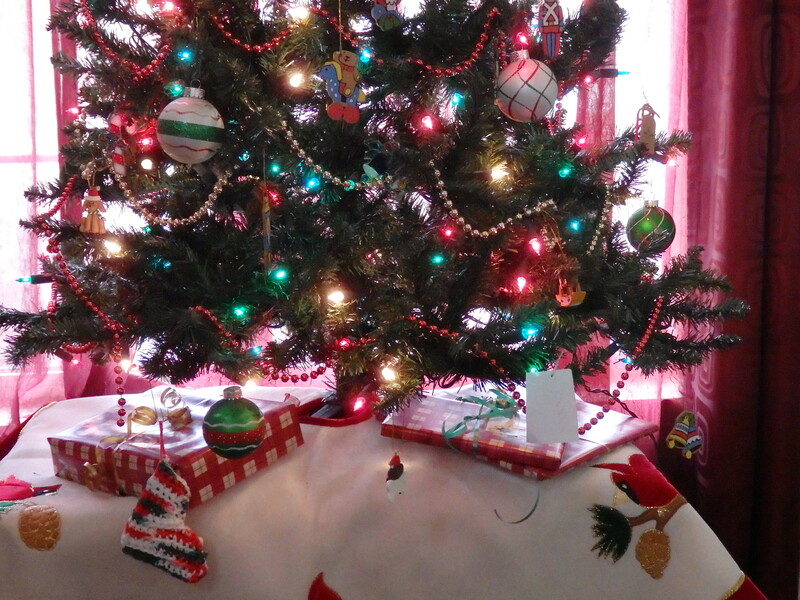 Second my son gets three last presents representing the three gifts of the Magi. And lastly we eat Mediterranean food which is close enough for me to something biblical yet still tasty. This year we had some logistical problems with the 6th of January. Everyone else had finished with holiday time and life was reverting back to normal. My son had bowling in the morning and I had bowling in the afternoon and then my son and husband were going to a hockey game. So we delayed Epiphany one day. A little sad but not the end of the world. 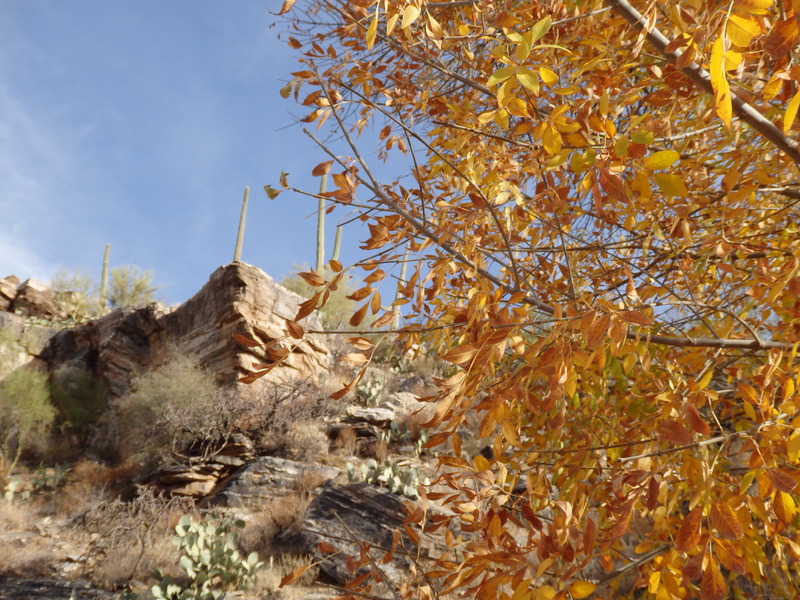 Sabino Canyon finally experiencing autumn color. After lunch on Sunday we went for our hike. It was the warmest Epiphany hike to date. I got a little “hottish and sweatish” in my jeans and t-shirt but enjoyed meandering along the scary dry creek bed and scuffing through the fallen leaves and catching a bit of autumn color. Sabino Canyon Rec Area was pretty crowded but we got off the beaten path awhile and enjoyed the bird song and solitude. 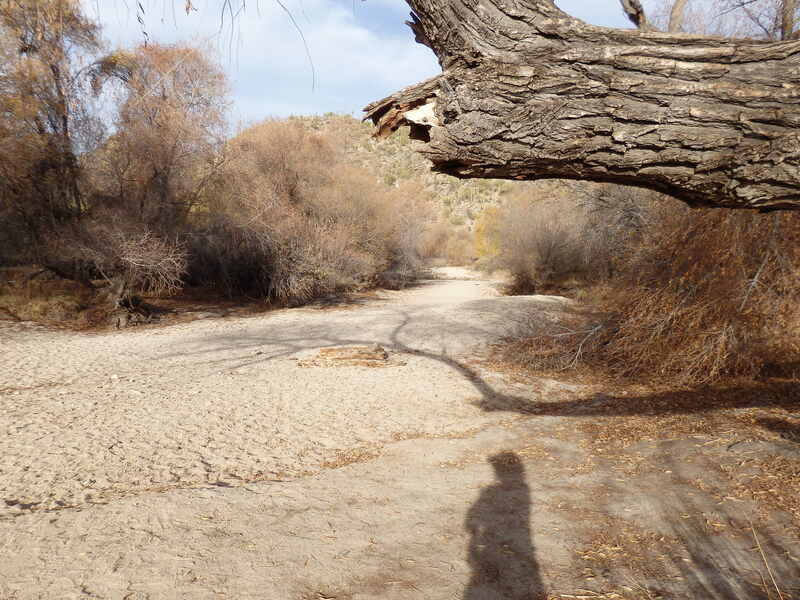 I have never seen it this dry before. Hopefully we will have some winter monsoons this year. Then my son opened his last three gifts. I don’t buy anything extra or special, I just put three gifts aside when I am wrapping presents. 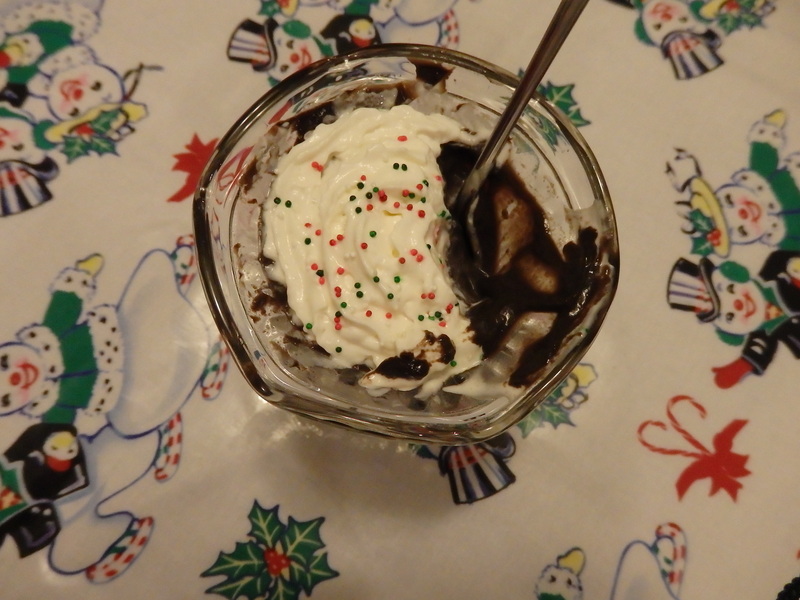 And then we had dinner and homemade chocolate pudding. Which thankfully turned out this time because the batch I made for Christmas Eve did not. And now the holidays are over. For real. I love your Epiphany traditions! And what a nice way to ease out of the holidays and back into real life.